On this week’s show, Karissa was joined by winemaker Chris Donatiello of C. Donatiello Winery to discuss our successful trip to Chicago and Milwaukee for Sonoma in The City, a weeklong marketing program hosted by Sonoma County Winegrowers and Sonoma County Vintners to educate wine trade, media, and consumers about grape growing and winemaking in Sonoma County. 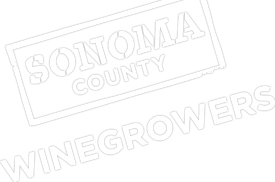 Donatiello discussed his background making wine in Russian River Valley, including what inspired him to leave his successful career in New York City selling and marketing wine and spirits brands for Southern Wine & Spirits to instead persue his passion for wine here in Sonoma County. He also discussed Russian River Valley’s new campaign to showcase the different “neigborhoods” of their illustrious AVA.